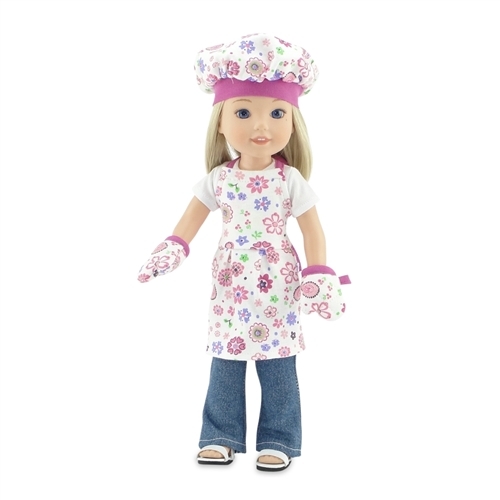 Your child will love to play pretend kitchen and cooking games with this fabulous set of girl and 14" doll chef baking outfits. 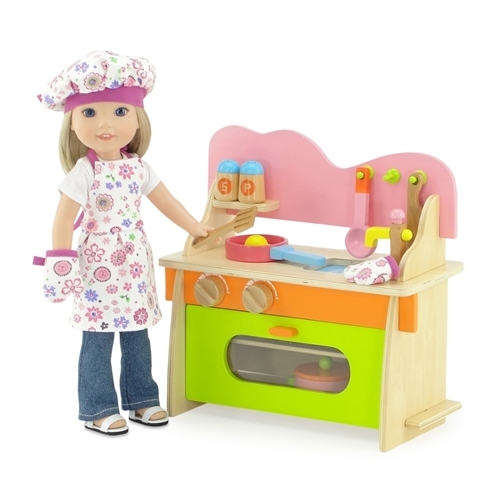 Each outfit includes a vibrant pink floral baking apron with matching oven mittens and sassy professional chef hat. Made to fit 14 Inch dolls such as American Girl Wellie Wishers, Hearts for Hearts Girls, Glitter Girls, etc. Includes vibrant pink floral pattern doll apron with dark pink trim, and matching girl sized apron. 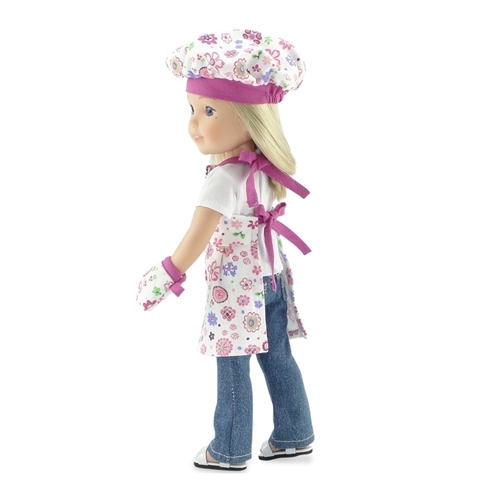 Also includes two matching floral oven or pot holder mitts and saucy chef hat for both doll and girl. Doll and kitchen not included.